The Prince by Niccolo Machiavelli is the godfather of all power moves. I believe that understanding the real nature and the real message of The Prince would make for a much better world. A quick foreword: Machiavelli has become a synonym of cruelty, backhanded tactics and amorality. While he writes with no moral and ethical filters and advocates for “whatever works”, his message is that it’s best for a ruler to create a peaceful and prosperous reign. Could anyone disagree with that? If a good ruler gives way to those who are not good, guess who will rule? Long before Ray Dalio made “love reality” a principle, Machiavelli teaches us to look at the reality of what works and what people do, and not what they say and profess. This is a principle that I espouse on this website. A good person is bound to be ruined among the great numbers who are not good. And that’s another principle this website wholeheartedly embraces. The prince who wants to hold on its power must learn how to be bad when necessity arises, says Machiavelli. Once you learn to be bad, you need to learn how to appear good. The vulgar crowd will always be swayed by the cover of the book, says Machiavelli. And the vulgar far outnumber everyone else. If you need to wage war on an enemy, don’t hit lightly so that take revenge. But either show no animosity or destroy them. So if you have a bad boss for example, either you get him fired or accrue all the evidence to sue him and win, or be nice to him until you can. As Sun Tzu says: only wage wars you can win. 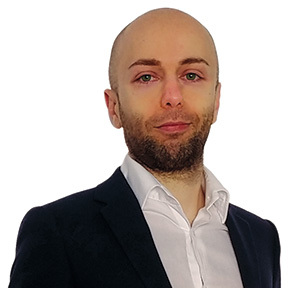 Delegate that tasks that are difficult, unpopular and likely to make you enemies. And keep for yourself the tasks that are popular and that will make you loved. Cesare Borgia for example sent one of his captains to subdue a rebellion with strength and cruelty. Once the region was under control, the people hated the new rulers. Borgia then had the captains killed in public display on the square. And he provided food and entertainment. Now everyone screams “long live to Cesare Borgia”. this was really, deeply amoral. I would probably draw the line at this behavior unless you could find some terrible captain deserving of execution and you send him to a final mission. I feel that Machiavelli might have been one of the first authors to understand the power of a growth mindset and of an antifragile ego. He says that the best way to avoid the dangers of flattery and the best way to learn what’s really going on is to let people know that the truth does not hurt you. Strength should always be accompanied by cunning. And cunning should not exist without the backing of strength. … Much before Jim Rohn ever did, Machiavelli said that the first way to estimate a ruler’s intelligence is to look at the people he has around him. And finally, the rule Machiavelli is most famous for. Being loved is good, but it’s based on the principle of obligation and reciprocity. And those are easily broken by people’s natural propensity to self interest, says Niccolo Machiavelli. if The Prince should choose between being feared or being loved, he should go for being feared. However, Machiavelli also says, the goodwill of the population your rule on is better than any fortress you can build. That’s why he says that an act of violence and cruelty is OK, but you should then focus on bringing peace and prosperity. Machiavelli says that the prince must sometimes use violence and cruelty, but once he has achieved his goal he should revert to building goodwill. Don’t win by force when you can win with deception. Saves you energy and time and it’s cleaner and neater. 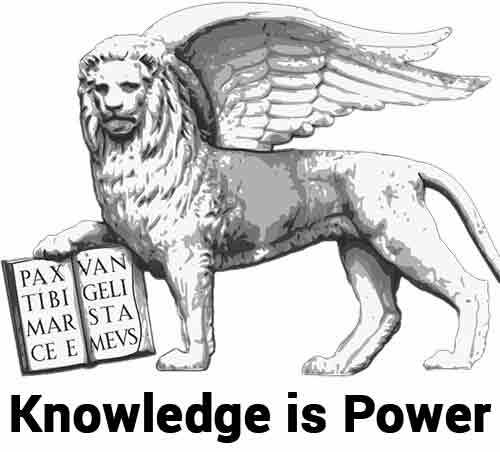 The wise man knows that nothing is as unstable and uncertain as power or fame not founded on his own strength. Italy of Machiavelli’s days saw a proliferation of smaller states and fiefdoms that was heaven on earth for power games and power moves. But to get the most out of The Prince some background knowledge will help because Machiavelli doesn’t always do it for the readers. What Machiavelli says makes a lot of sense. At the end of the day, Machiavelli recommends all his underhanded techniques for a good cause: installing a good ruler, bring peace and freeing Italy from the barbarians. 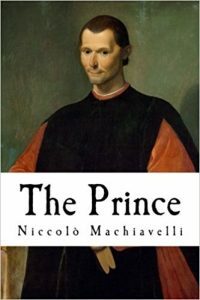 The Prince by Niccolo Machiavelli, when well understood and well used, will save the world. By that I mean that good people need to learn to be bad. If not, the power will always go to the bad apples. It’s simply a law of nature: while the good guys shy away from what it takes, the bad ones stop at nothing. Of course the bad apples win out! We need good people that know how to be ruthless instead. We need good people who take the power and then go back to being good. Imagine if the Bernie Sanders of the world had known how to win. Imagine if the Assad of the world had met with a good natured, but equally ruthless and more Machiavellian foe. Imagine if the Hitlers of the past and of the future will always meed good natured, but equally ruthless and more Machiavellian foes. Now you see where I’m going: we need good people equipped with the same weapons of the bad people! Machiavelli with The Prince is the Godfather of The Power Moves literature, which includes books such as The 48 Laws of Power, The 50th Law and 33 Strategies of War. And, in a way, we find a touch of Machiavelli also in the message of Jordan Peterson, author of 12 Rules for Life (in the idea of the need for evil in good people). The Prince is not as easy and not as “marketable” as the above titles, which were written with big sales in mind. But Machiavelli is a genius, and The Prince is a classic. One last word of warning: there are many version of The Prince, and some are horribly curtailed. Watch you get a proper, full translation.